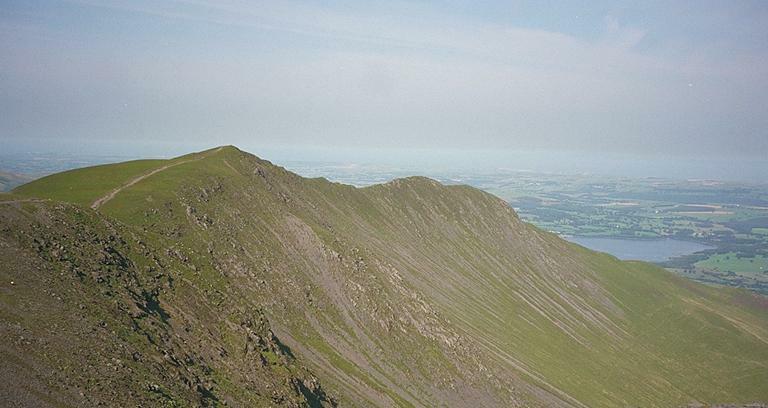 Longside Edge is a fine ridge seen here in retrospect from the Skiddaw path as it leaves Carlside Col. Bassenthwaite Lake, prominent from the ridge itself, is partially seen to the right of Ullock Pike. The Solway Firth lies beyond, with the Scottish hills obscured this day by the haze. Smaller version of this picture.